The view is south. 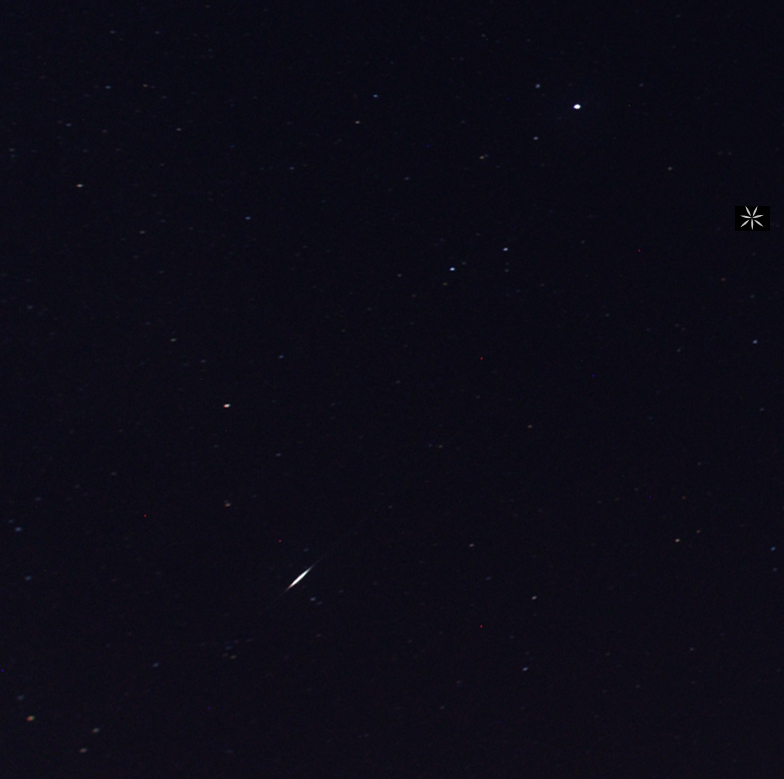 The bright star on the top right is Vega in the constellation Lyra. 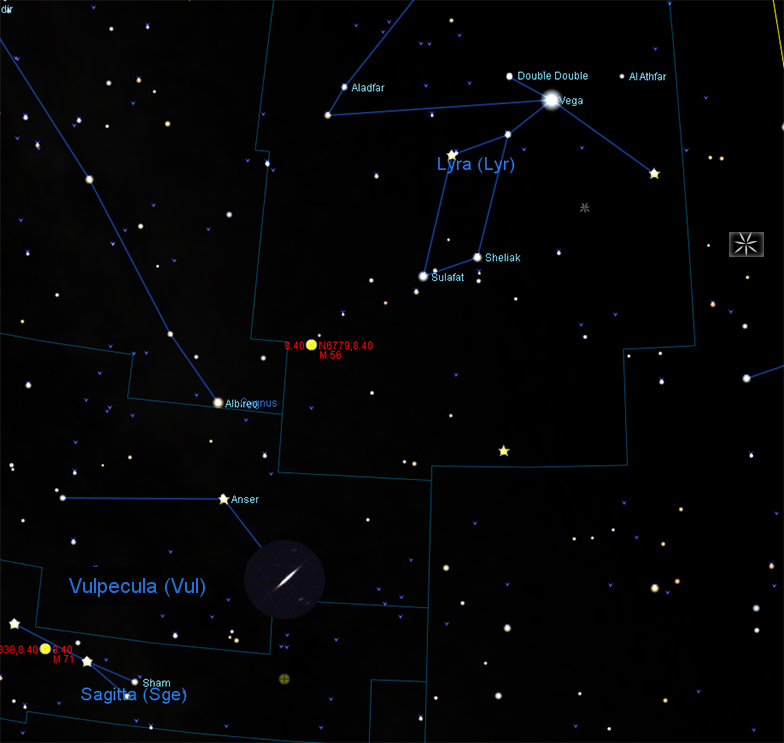 The meteorite came from Northeast from the direction of its meteor shower radiant in constellation Hercules and crossed the constellation Vulpecula. On its way through the upper atmosphere, it heated up in fractions of a second and glows in a bright light strip. Satellite check: no satellite or Iridium flash found.